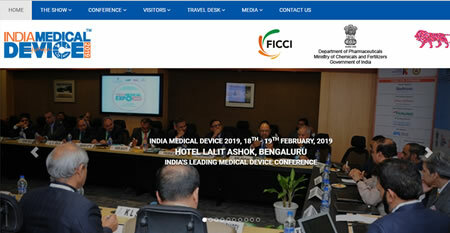 Major event to increase overall growth of Pharma sector including exports and focus on increase of Domestic production in the sector by Government of India & FICCI, with the active participation from all Stakeholders. 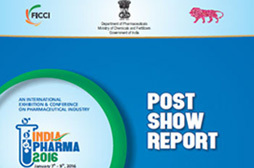 Encourage 'Make in India'- for manufacturing of Drugs and Pharmaceutical Machines. 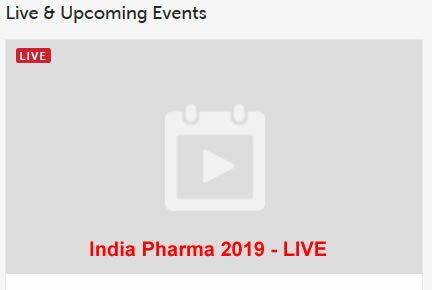 INDIA PHARMA 2019 covers the whole process of Pharmaceutical Manufacturing, from various kind of manufacturing/processing machineries to Lab Equipment, Analytical Instruments, APIs and other total solutions. 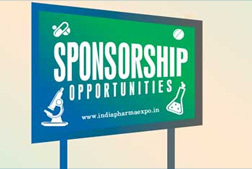 India Pharma 2019 will cover all the sectors of the pharmaceutical industry starting from finished formulations, APIs, Bio-pharmaveuticals, Fine Chemicals and intermediates, Natural extracts, Excipients and many more. 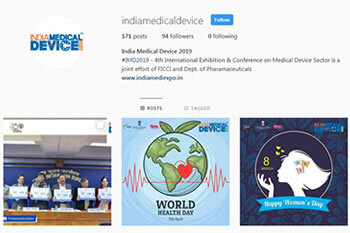 Display of Latest Pharmaceutical Machinery, Plants, Laboratory Equipment, Analytical Instrument and Cleanroom Equipments. Direct Access to Highly targeted Senior Pharma Executives, Buyers, Procurement Managers, Contract Manufacturers.